It’s pumpkin season again. I’ve got a large beautiful pumpkin for just 1 dollar. Pumpkin is so versatile. It can be used to make a savoury dish, dessert, cake or rice dish. You name it, you can make it. 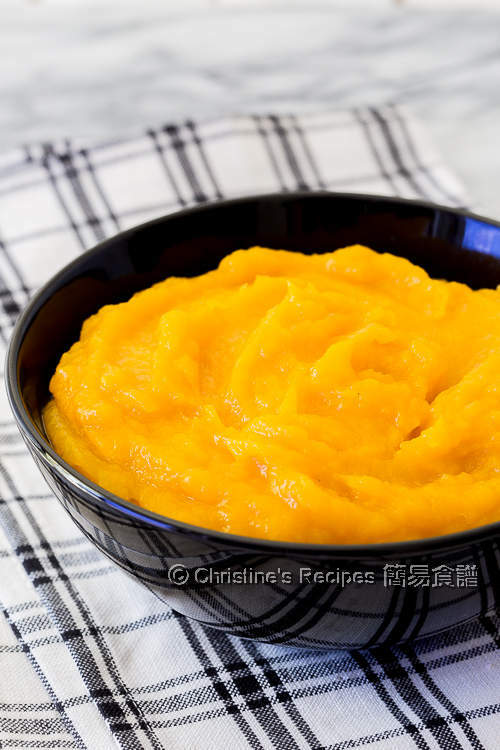 Even this simple pumpkin puree can be used as filling or sauce, subtly giving a natural sweetness to your whole dish. I don’t want to miss any chance to test my new kitchen toy, Instant Pot. I was quite impressed with its steaming function. It really shortened a lot of cooking time, even though the size of the pumpkin chunks were quite large. The flesh was very soft that could be easily scooped out with a spoon. Without a doubt, if not using a pressure cooker, you can steam it in a wok or large pot. Put the trivet in the pot. Pour in the water. Cut the pumpkin into 2 to 3 portions that can be well fitted in the pot. Place the pumpkin on the trivet. Put the lid on with “sealing” setting. Press the “steam” button and cook for 12 to 13 minutes. When the machine beeps, do a quick pressure release. Let the pumpkin cool down a bit. Scoop out the flesh with a large spoon. 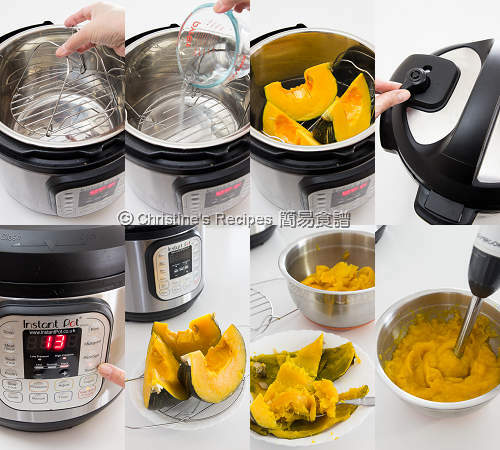 Process the pumpkin flesh with an immersion blender or press it with a large spoon until it’s smooth. Done. You might like to season it with sugar or spices if desired. You can steam the pumpkin in a wok or a steamer instead. Be sure to cut it into smaller pieces. Otherwise the steaming takes a while. Cut into 3-inch cubes and steam about 15 to 20 minutes. The cooked pumpkin flesh can be stored in fridge for up to a week. 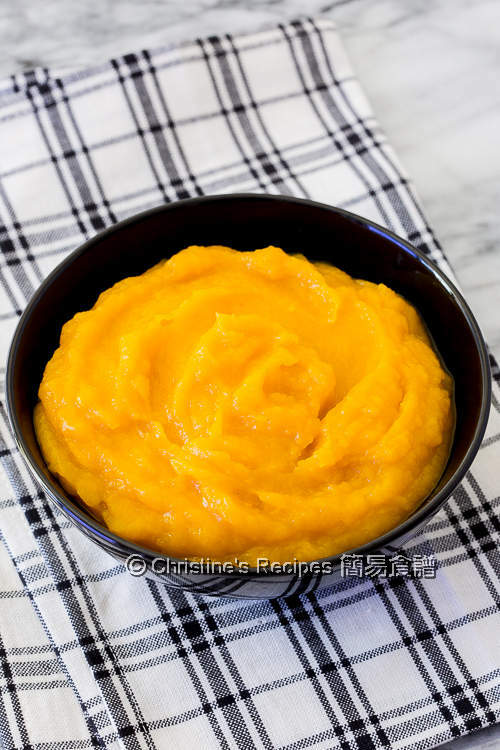 I usually make pumpkin puree in the oven, but this seems even quicker and the result is fantastic. Getting love my Instant Pot more and more. Very handy to make nearly everything.